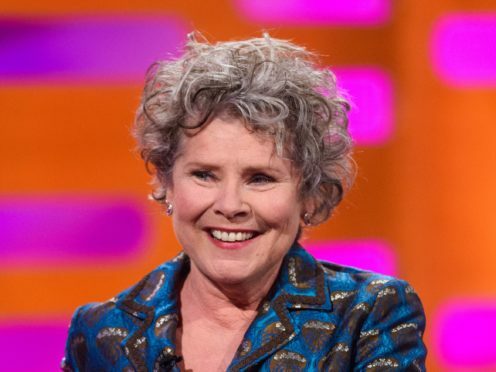 Imelda Staunton and David Harewood are lending their voices to a new album comprised of Bible passages spoken over music. Called The Good Book: Stories From The Holy Bible In Words And Music and released just ahead of Easter, the two-CD set is billed by record label Decca as an “antidote to the stresses and worries of life, (reminding us) what is important, whilst soothing the soul”. Vera Drake and Harry Potter actress Staunton and Homeland star Harewood are joined by former Blue Peter presenter Diane Louise Jordan and Game Of Thrones actor Anton Lesser on the release. The album was “specially crafted” to include a selection of carefully chosen Bible passages, rather than traditionally moving from the Old to New Testament, Decca said. The Good Book explores themes from the holy text such as love and hope, giving and wisdom, and will allow “the listener to select readings that are relevant to their everyday lives”. Each passage included on the album, which has more than two hours of content, is read out over gentle instrumental arrangements, to bring “reflective meaning to some of the most famous words of all time”. The Good Book: Stories From The Holy Bible will be released on April 12.